Don't Miss Out! Order Your NVP Kits by Dec. 31! Didn't get exactly what you wanted for the holiday? 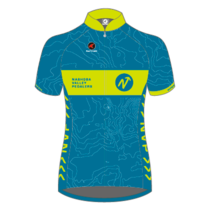 Make a gift to yourself with NVP bike shirts, shorts, jackets, vests and arm warmers. On Sale through December 31 at Pactimo’s website store. Don't miss out! Order today and "fly your NVP colors" on early spring rides! Questions? Contact Romaine Randall, rmrand@aol.com.